The result for the Mizoram Teacher Eligibility Test (MTET) has been declared by the Mizoram Board of School Education. 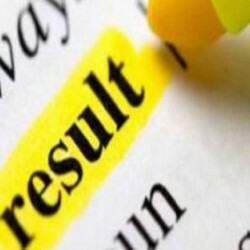 The examination result has been declared on the official website of MTET. The examination was conducted on January 22, 2019. The candidates who had appeared for the Mizoram Teacher Eligibility Test 2019 examination can visit the official website of the Mizoram Board of Secondary Education and check the result. The result for the MTET 2019 has been released in a PDF format on the official website of the Mizoram Education Board. The PDF consists of the candidate’s details such as Roll number, Name, Father’s Name, and Result status. Simple steps to check the result are given below.